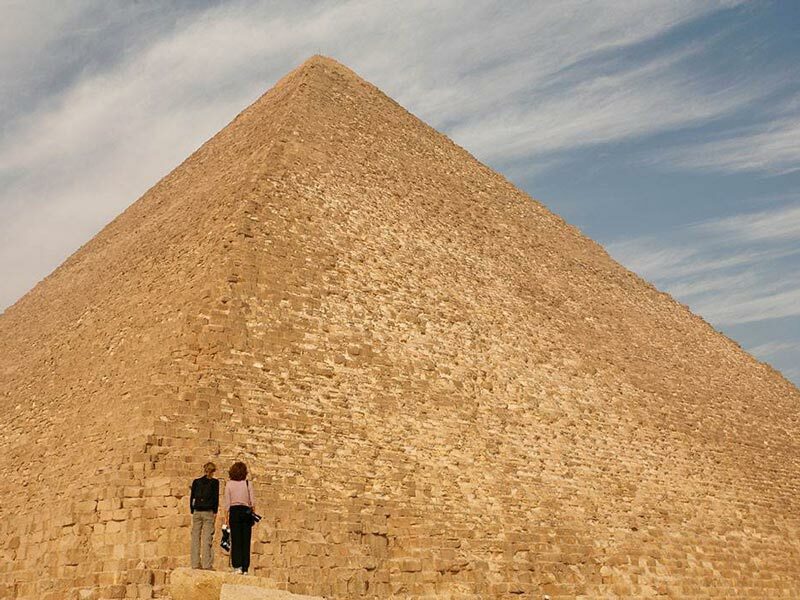 Enjoy a tour to Cairo and the pyramids from Alexandria Port by a private vehicle to visit Giza pyramids, the Sphinx, Then the Egyptian museum and return back to Alexandria port. Our representative will pick you up from Alexandria port by the cruise exit door to transfer you by a private air-conditioned vehicle to Cairo for starting your Tours in Cairo from Alexandria by paying a visit to Giza pyramids, The three main pyramids are considered one of the most important royal tombs in Egypt The largest of these pyramids is the pyramid of Khufu, the son of the king, "Sinfero" and his successor in power. The construction of this pyramid took twenty years and reached a height of 148 meters, The second Pyramid is Khafre and It's 5 minutes' walk away from Khufu pyramid, and The third pyramid is Menkaure. 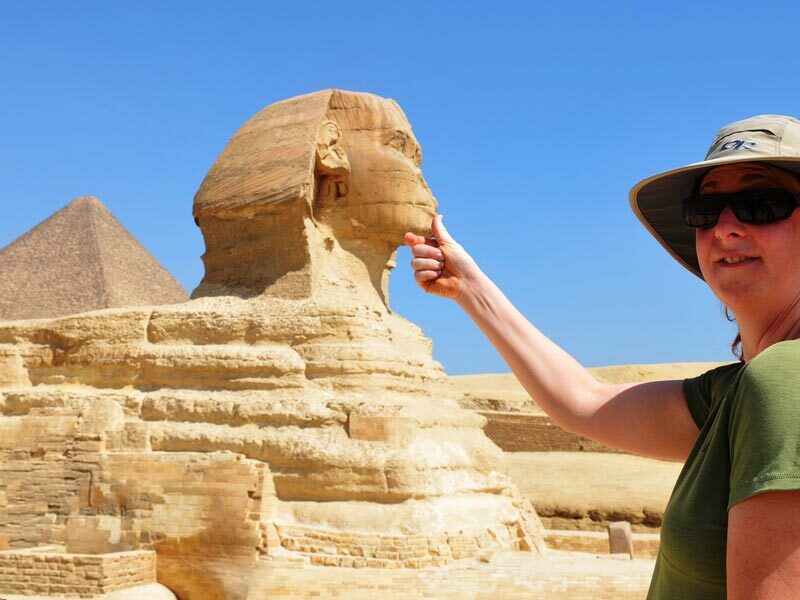 Afterwards, enjoy a guided tour heading to visit The Great Sphinx, one of the most important Egyptian Pharaonic monuments. It is a rock statue of a mythical creature with the head of a man wearing the pharaohs' dress with a lion's body. It is also thought to have been coated with a layer of plaster and also colored. Some of the traces of color are still present on one side of the statue's ears. Its length is about 73.5 m, and its height is twenty meters to its peak. 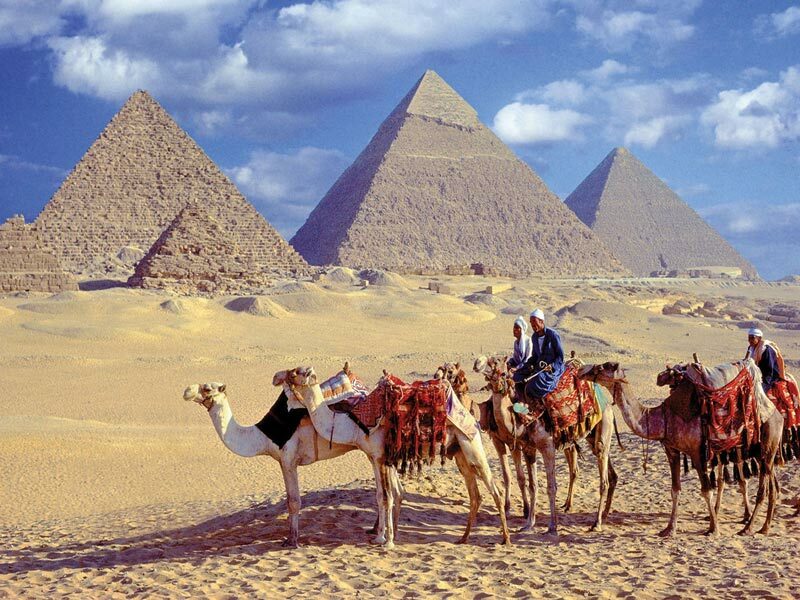 Continue your Tours in Cairo from Alexandria by visiting The Valley Temple, a marvelous mortuary temple in Giza. There are two entrances of the temple, the entrances of the temple were closed with huge doors of cedar, between the two entrances there is a vestibule, Where they found a magnificent statue of King Khafre, this statue currently displays in the Egyptian Museum. It is believed that the washing and mummification of the kings were held inside the temple, in addition to the rituals and prayers. And now It's time for Lunch. Your tour guide will transfer you to enjoy your Lunch at a Nile view restaurant. 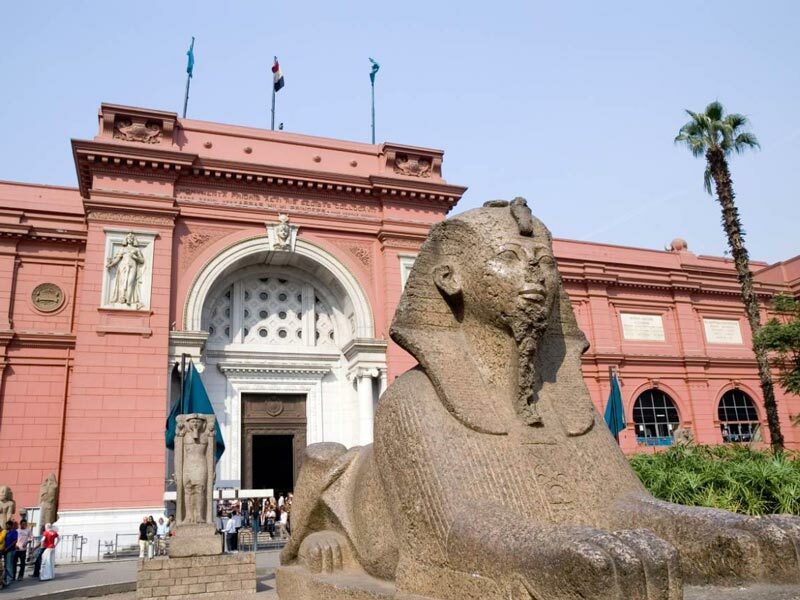 Finally, seat off to end your Tours in Cairo from Alexandria by visiting the Egyptian Museum; the museum is located in Tahrir Square. And consider the oldest museum in the world. Since its construction, it has been designed as a museum, while the other museums that are elder than it were originally built as a house, villa or any other form. 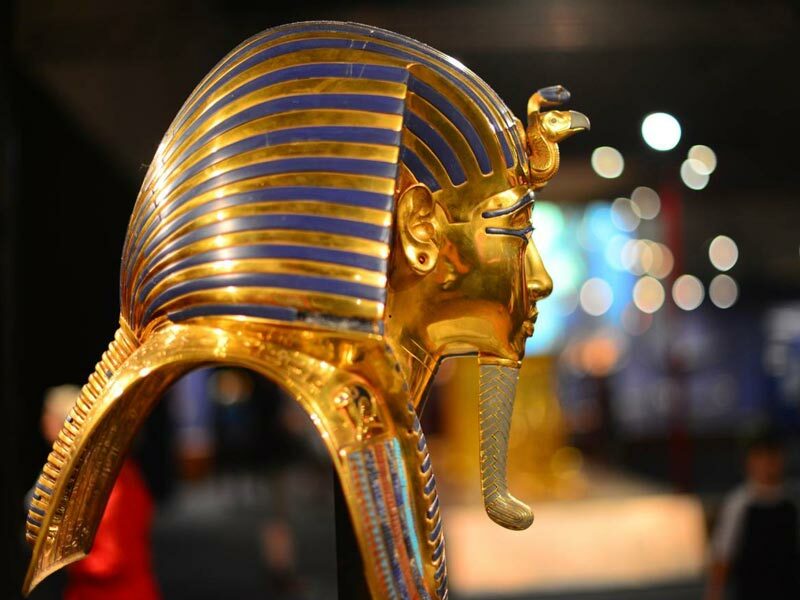 It consists of two floors containing more than 160 thousand pieces of antiquities in addition to the mummies. After ending your tour in the Egyptian Museum our representative will transfer you back by a private air conditioned car to Alexandria port.